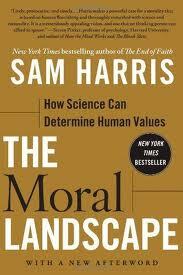 More thoughts on Sam Harris’s insightful new book, The Moral Landscape: How Science Can Determine Human Values, 2011. I read it with two friends, and interpreted it through an evo devo universe lens. I originally planned to critique the entire book but I’ve since moved on to other readings, so this will be it for now. *The labels in parentheses are my additions to Bronowski’s model. I’m not sure, but I believe 🙂 he would have approved. As Harris reminds us, all of these are technically beliefs, but as Bronowski reminds us, the first category of thinking styles is the most common connotation for belief, the second is rational argument or experience, the third is science. This is a very practical categorization system for our thinking. In these books, and in his sublime BBC documentary series and book, The Ascent of Man, 1976, Bronowski regularly visits these three categories of thought, and convinces us that we use and need all of these types of thinking to survive and thrive. In common parlance, beliefs are thoughtful intuitions and faiths that we have little justification for, beyond gut feeling or social custom. Thinking them to be true is an individually and socially creative act. We also have thoughts that have some practice, experience, logic, or philosophy to guide them. Finally, we have thoughts that have been to some degree validated via experiment, replication, scientific method. Bronowksi argues that we always need intuition, but as society matures, we increasingly gravitate away from pure faith-based thoughts to ones more informed by philosophy and experience, and in special cases, scientific knowledge, to the great benefit of civilization. But intuition, and a modicum of faith, must always remain, no matter how complex we become. Thus religion never goes away, nor should it, but it does get continually reformed. This has been described as the Dunning-Kruger Effect, and is one very important source of cognitive bias. Ignorance and certainty often go hand in hand. One hallmark of complex thinking is when we qualify our statements, and are aware of places where we have a number of competing theories, all of which have some merit, and where we presently have insufficient data to form a judgment. We need to be tolerant of uncertainty and ambiguity, as it is a key component of nature itself, with its profusion of evolutionary experiments, many yet to be judged by the environment. In fact, we have to move beyond tolerance to actively championing diversity and experiment, especially in those controversial and uncertain areas where the right way or ways are not yet clear. Well said. The way that even a Nobel laureate usually speaks about subjects outside their expertise (there are of course exceptions) is something we should all strive for, in our discourse about the deepest and most important things, like our beliefs and values. Brilliant diagnosis! Yet we must recognize that liberals are equally “conservative” (parochial, protectionist, change-averse) on the economic dimensions of society. They gravitate to trade restriction, to onerous economic guarantees, to high trade barriers, to change-averse unions, jobs for life, etc. Liberals, in other words, are socially evolutionary (freedom oriented) and economically developmental (constraint oriented, tariffs, unions, guaranteed wages). Conservatives are socially developmental (constraint oriented) and economically evolutionary (freedom oriented). Conservatives are the natural leaders in socially developmental aspects of our society (defense, security, intelligence, rulemaking, social norms and traditions) and in the economically evolutionary (market, innovation oriented) aspects as well. Liberals are natural leaders and key players in all the social innovations of modern societies, and in all positions of power involving constraint and regulation of economic activities. Both play critical evo and devo roles. Demonize either and you miss seeing why the system works as it does. Well said. We must be willing to undergo mental disruption and discomfort, to unlearn bad beliefs, if we seek to live an evidence-based life. Ideally, we will allow such disruption to become increasingly frequent the older we get, as there is more known, and more we have to unlearn, at least in particulars. If we can live with this disruption, we can be the kind of elderly that grow in wisdom and stay relevant, even as our knowledge must become both increasingly general and conditional, and our ability to change the world gets increasingly narrowly defined. Fortunately, our electronic extensions are continually rejuvenating themselves, and the more we embrace them, the more resilient we become. The neurologist Robert Berton, On Being Certain, 2008, says schizophrenia is a disorder of pathological certainty, and obsessive compulsiveness is a disorder of pathological uncertainty. Certainty is primarily an emotional process, and is connected to but different from the chains of evidence and argument that determine the correctness of any belief. There are genetic differences in the types and quality of human reasoning. “People who have inherited the most active form of the D4 [dopamine] receptor are more likely to believe in miracles and to be skeptical of science; the least active forms correlate with rational materialism.” There are also genetic differences in our innate risk tolerance, which in turn greatly influence our reasoning and conclusions. Does this variation mean that we cannot identify unproductive extremes? No. Enlightening! Nurture’s contribution to human mental life gets steadily clearer. I expect that in the future, we will come to understand two fundamental things about the genetic differences in human reasoning and belief systems: 1. There is a developmentally healthy envelope of variations in risk tolerance, willingness to believe strange things, and other thinking parameters. The vast majority (usually 99%?) of humans are almost always functioning within this envelope, and those times when they aren’t we can define as deprivation or disease. 2. Within this envelope, there is no developmental “optimum” that we can usefully define. Having a healthy evolutionary variety and distribution within the envelope of normal function will turn out to be as important as having developmental bounds on the size of the envelope. This is all that will be left of the “eugenics” visions of the 20th century reductionists: just a better definition of the exceptional cases of disease, not discovery of an optimal configuration among a great variety of healthy norms. As healthy thinking is an evolutionary process, adaptation will always remain contingent and dependent on local context, and impossible to globally predict or define. Absolutely! I doubt Harris would agree with this, but I see these dopamine experiments as beautiful evidence that our very brain machinery is biased to make us do: 1. Intuition/faith-based thinking, 2. Argument/experience-based thinking, and 3. Scientific/experimental-based thinking. All three are fundamentally necessary processes for thinking creatures in our universe, in my evo devo view. Harris explores how we purged such harmful beliefs as the belief in Witchcraft, and the cruel punishments that purported witches received in the West a few hundred years ago, and which they still receive in some African nations today. Reason can help us sort out harmful and regressive from progressive beliefs. But while I agree strongly with him here, I also think our human need for a rather large set of faith based-beliefs remains fundamental, in a world where complexity, for now, remains far greater than our minds. Disagree. We can’t yet say this definitively, but I’d bet universal evolutionary development guarantees regular emergence of new behavioral and cognitive novelty. I’d bet the consciousness and behavior modes of a human are qualitatively novel vs. that of an insect, and I’d predict the AI’s hyperconsciousness, given its new level of structural freedoms, will be qualitatively novel yet again. Strongly disagree. All our behavior and thought undergo memetic selection. You just choose not to see or discuss it. You seem to be in the Denial phase of the death of an ultra-Darwinian world view (Denial, Anger, Bargaining, Death, and Acceptance being the full progression). You don’t even confront or critique the 35 years of literature on memes, in your entire book. I recommend Bob Aunger’s Darwinizing Culture: The Status of Memetics as a Science, 2001 as a start into that literature. “I have argued there is no gulf between facts and values, because values reduce to a certain type of fact.” [Harris found both constructs used the medial prefrontal cortex (MPFC) and emotional areas in his research]. There is no such “reduction” occurring. It’s interesting that both scientific and ethical constructs use the MPFC and emotion, but that doesn’t make them the same. Ethical judgments are a subset of scientific judgments. Some ethical judgements are factual-scientific (developmental) others are creative (experimental) and they may or may not be or turn out to be factual. I don’t share Harris’s faith in the perfectability of this science, by imperfect humans at least. Better lie detection will surely weed out the amateurs, but it will also breed better liars. The best liars, the ones that beat polygraphs today, are capable of amazing feats of self-deception, and belief in their own lies. Those that dissociate (create multiple personalities) may be detectable by neuroimaging, but what of those that learn to believe their own lies with their “whole mind”? “Choosing beliefs freely is not what rational minds do.” [On his debate with Philip Ball]. Strongly disagree. In the realm of our intuition and faith-based thoughts, quite a number of these beliefs are freely and consciously or unconsciously chosen, based on how they make us feel, as Philip Ball apparently argues, and it is rational to do this. When we get argument or experience, or even science to constrain these beliefs, it is also rational to revise our beliefs. But we often don’t have even argument or experience to guide our first beliefs in an abstract or new area of thought. The act of intuitive or faith-based belief, the search for propositions that we think might be true, is a creative action, a necessary evolutionary step toward greater adaptive complexity and development. Yes, but this is only a subset of the beliefs we use and need! Many of our beliefs are intuitive, or faith-based, and may not yet even be conscious, much less supported by argument or evidence. Consider our faith that the universe is comprehensible, or amenable to life, or people mostly moral. Most of our thinking may be based on such bottom-up, neural-net constructed beliefs. They are the foundation on which the tip of our conscious beliefs, argument, evidence, and science has emerged. We shouldn’t ignore them. At the same time, we can marvel that even with this sea of intuitive thinking as our inheritance, so much rationality emerges so predictably in all of us. Developmental psychology is yet another amazing example of the power of universal development.